NAPCP Retreat 2017: Registration Now Open! 15 Aug NAPCP Retreat 2017: Registration Now Open! NAPCP is first and foremost a community. In 2010, our team’s idea to take this tightly knit online association into the “real world” came to fruition. While we adore every connection made through the world wide web (and NAPCP is truly world wide! ), we firmly believe in fostering these relationships in person as well. 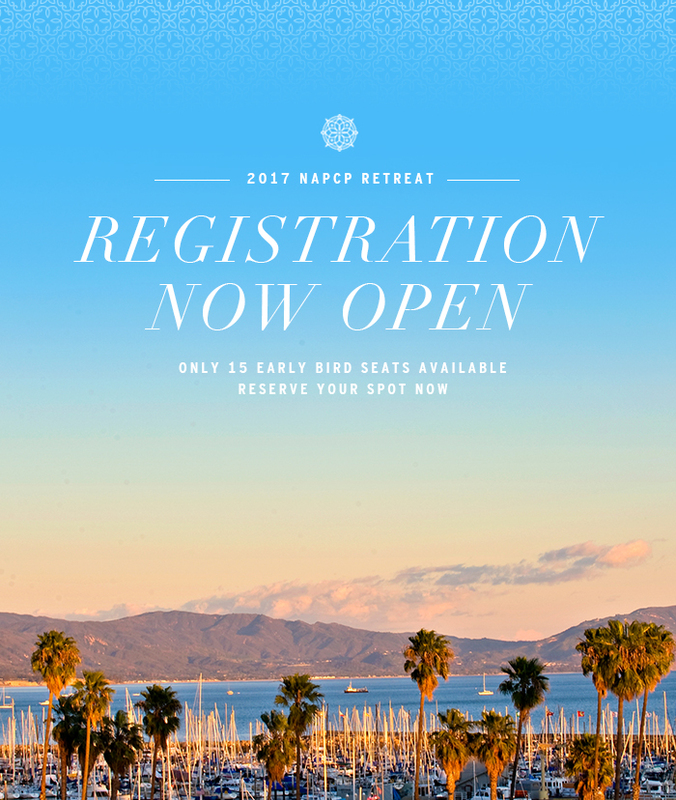 Take joy in your professional and personal development, at NAPCP Retreat 2017, at the boutique Spanish style Canary Hotel, in “The American Riviera” of Santa Barbara, California. After much anticipation, registration for our 2017 NAPCP is now open! And better yet? The first 15 to register will receive hundreds in savings, so be sure you reserve your spot now! We eagerly await seeing you in January 2017, as you envelop yourself in the industry-acclaimed gathering of outstanding professional child photographers and creatives, and Enjoy the Journey.